Meet Barbara Reichmann, once known as Gucia Gomolinska: smart, determined, independent, and steadfast in the face of injustice. A Jew growing up in predominantly Catholic Poland during the 1920s and ’30s, Gucia studies hard, makes friends, falls in love, and dreams of a bright future. Her world is turned upside down when Nazis invade Poland and establish the first Jewish ghetto of World War II in her town of Piotrko´w Trybunalski. As the war escalates, Gucia and her family, friends, and neighbors suffer starvation, disease, and worse. 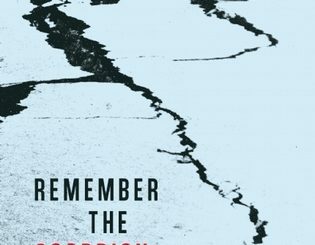 She knows her blond hair and fair skin give her an advantage, and eventually she faces a harrowing choice: risk either the uncertain horrors of deportation to a concentration camp, or certain death if she is caught resisting. She decides to hide her identity as a Jew and adopts the gentile name Danuta Barbara Tanska. Barbara, nicknamed Basia, leaves behind everything and everyone she has ever known in order to claim a new life for herself. 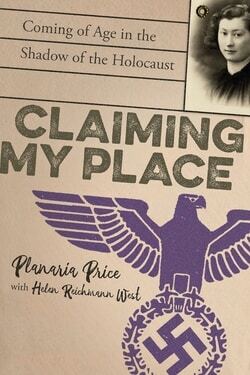 Writing in the first person, author Planaria Price and Helen Reichmann West, Barbara’s daughter, bring the immediacy of Barbara’s voice to this true account of a young woman whose unlikely survival hinges upon the same determination and defiant spirit already evident in the six-year-old girl we meet as this story begins. The final portion of this narrative, written by Helen, completes Barbara’s journey from her immigration to America until her natural, timely death.